(RCP) - a new way to receive wireless signals outside of cities. Intel's new initiative utilises a processor, software radios and an antenna to connect remote areas up to 60 miles (96km) away that otherwise would go without internet access. According to Intel, the equipment also enables a relatively high throughput and could conceivably reach up to 6.5Mbps to facilitate video conferencing and telemedicine. So far, the RCP has been tested in India, Panama, Vietnam and South Africa. Intel contends its service has a worldwide appeal: "We're seeing a lot of interest in the industry," Jeff Galinovsky, a senior platform manager at Intel claims. "Every time we talk about this, they say, 'We need this yesterday'." 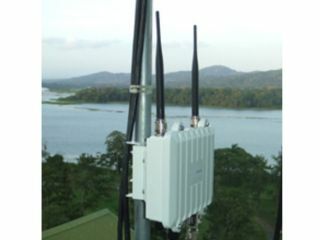 To send signals over such a long distance, Intel's technology uses a directional router sitting atop a tower that communicates with a radio several kilometres away. The tower is needed because RCP requires line of sight. The company rewrote the way in which Wi-Fi signals communicate to ensure that connections could span a greater distance. It used specific time slots to prevent them from timing out until the radios connected with each other. Intel has said that it will continue to test its technology in a variety of locations worldwide in the following months, but did not give a specific timetable for individual area releases.